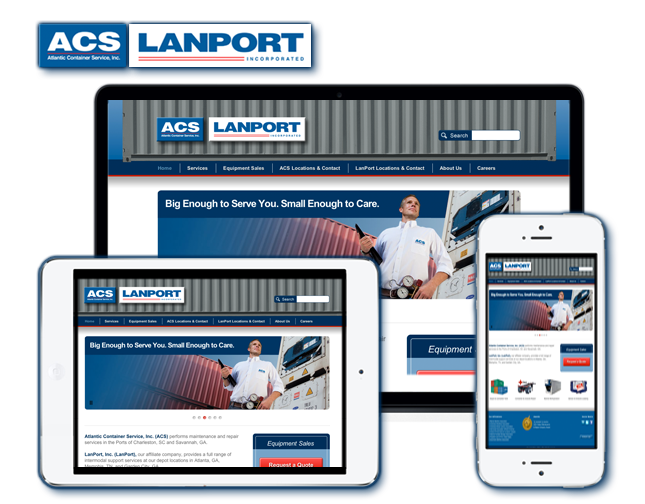 Longwater & Company designed and programmed this WordPress website for ACS Lanport. Client was able to turnkey administrate their own site once development was completed. If you like the cost effectiveness of one site for all devices then you may want to consider a Responsive Website. Longwater & Company would love to discuss your business objectives and provide you with the tools to streamline your web presence. In a nutshell responsive web design is an approach aimed at optimal viewing experience based on easy reading and navigation with minimal resizing, panning and scrolling across a wide range of devices. Content can me reduced, hidden or represented as one column to allow legibility by the smallest of screens.